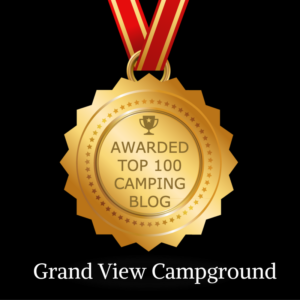 We Made the Top 100 Camping Blogs! We got some very good news this week when we were notified that we’d made it into Feedspot’s list of Top 100 Camping Blogs. 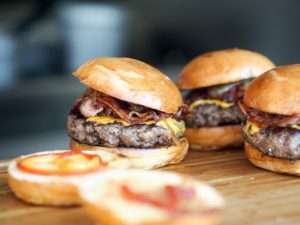 We are in good company on that list and you might like to check it out for further reading about camping gear, recipes, tips and checklists. It’s nice to be noticed and mentioned in that way but even more important to us is that we provide helpful and interesting content for our campground website visitors to read and learn from. If you haven’t camped with us before, we hope our blog gives you a feel for the kind of campground Grand View is and about the kind of people who work here. We enjoy and appreciate you and we hope that shows in the things we write about on our blog. Let us know if there is anything you would like to see featured on the blog and we’ll be sure to do our best to write about it. We hope you’ll be camping with us this year and we look forward to meeting you.